"I know I'll never be out here again. So this has been a good trip," says one traveller in Albert Maysles' In Transit (the film was co-directed with Lynn True, Nelson Walker, David Usui, Ben Wu). This line could reflect the significance of this film to Maysles' life, as it is his final film after a remarkable career. In Transit is a triumph of humanist cinéma vérité filmmaking, the kind of filmmaking that Maysles mastered. This film gives viewers glimpses into the lives of passengers on Amtrak's Empire Builder, America's busiest long-distance train route. In Transit won't be everyone's cup of tea. It's a slow-moving film in which nothing of significant consequence happens, but that's the source of this film's magic and beauty. Watching In Transit is like walking through a train picking up on pieces of passengers' conversations, occasionally stopping to chat with one or two of them. The nuggets of conversation shown on screen are so intimate that it's a gift to see them in a film. For many passengers, the camera is like a confessional. These people open up to the camera (and, by default, every audience who views this film) in ways that they might never to their closest friend. Maysles and his co-directors capture these moments with the matter-of-factness that makes cinéma vértité the distinctly humane style that it is. Overall, In Transit is a work of wisdom and wonder from one of the medium's legends. 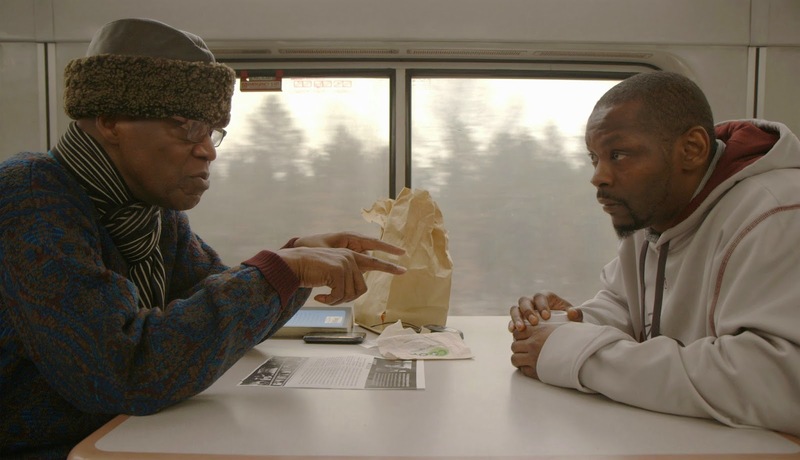 A highlight from this year's Tribeca Film Festival, In Transit will not disappoint fans of Maysles' films. At 76 minutes, the film never outstays its welcome, and as quiet pieces of observational cinema go, this one's a keeper.